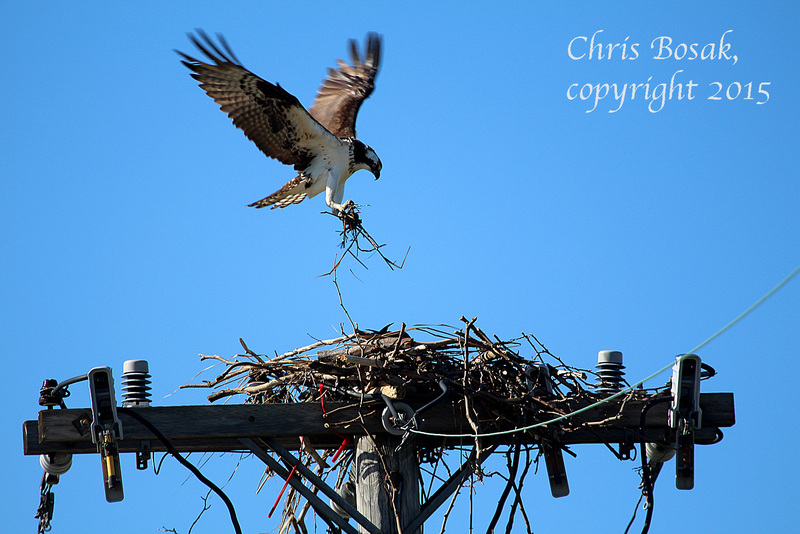 An Osprey flies into its nest with nesting material at Veterans Park in Norwalk, Conn., April 29, 2015. Here are a few more photos of the new Osprey nest at Veterans Park in Norwalk, Conn. See previous post for more information about the nest and its significance. Thanks for checking out Birds of New England. 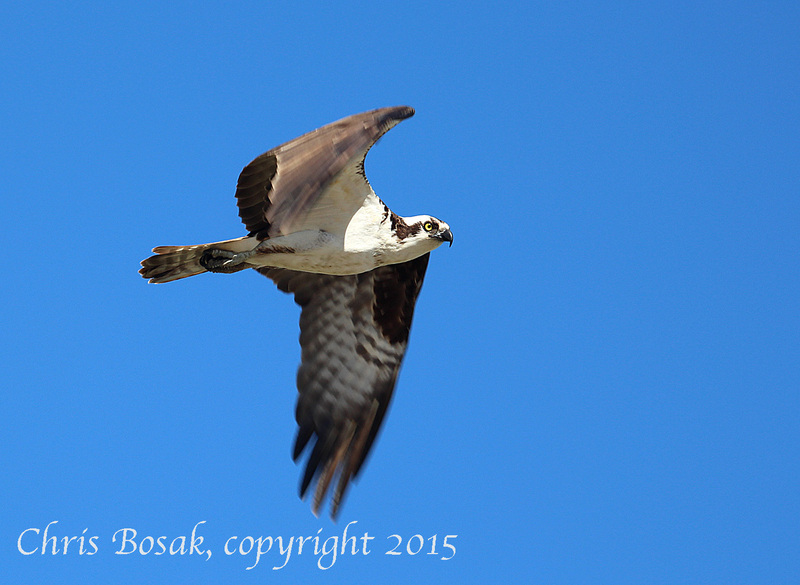 An Osprey flies over Veterans Park in Norwalk, Conn., April 29, 2015. An Osprey adds a stick to a new nest at Veterans Park in Norwalk, Conn., on April 29, 2015. 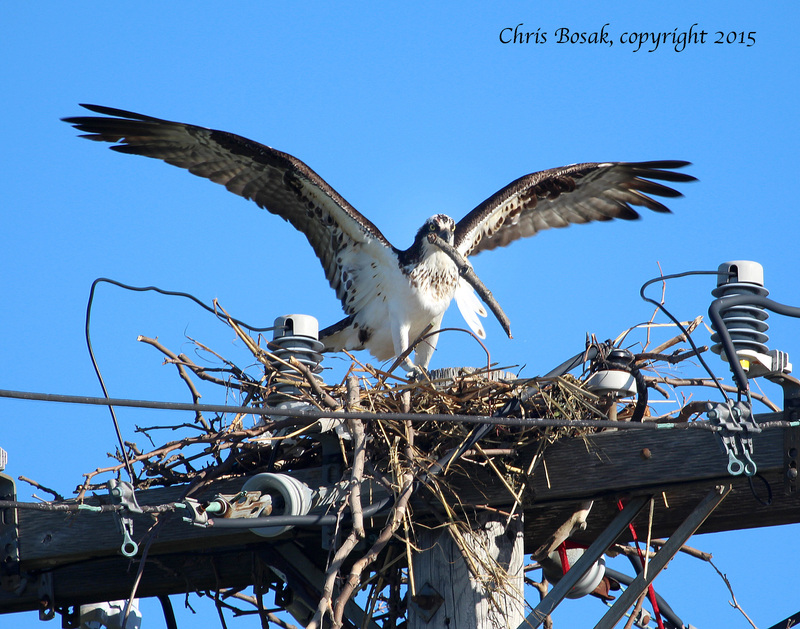 This entry was posted in Long Island Sound, osprey and tagged Chris Bosak bird photos, osprey, osprey nest by Chris Bosak. Bookmark the permalink. These are super photos. I love how fierce the ospreys look. I took part in a small section of “The Great Saunter” on this beautiful day. The Shorewalker Group’s annual walk all the way around Manhattan. I saw a flock of Brant right near the shore of the Hudson above W.96th St. Thanks Susan. Very cool about the Brant. Sounds like a nice walk.